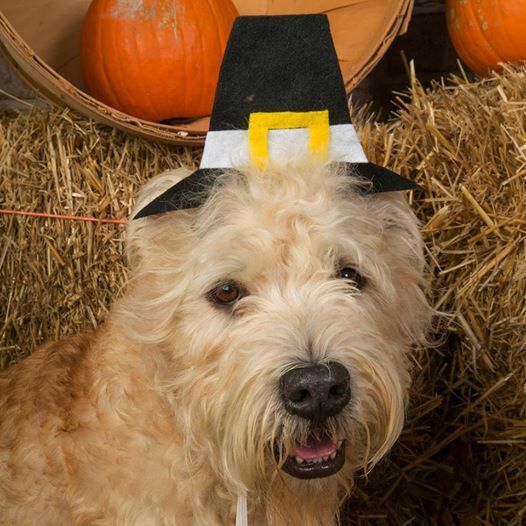 Winston knows that Thanksgiving is an American holiday but he works on the principle that all Glen of Imaal Terriers are family, wherever in the world they may live, so he wishes everyone of them a great, great day! More and more people are taking their Glen of Imaal Terriers to Europe. Changes come in from December 29th this year so do be ready. The health survey closing date has been extended by another two weeks to Friday 12th December. We haven’t quite reached our targets of 122 UK responses … or an overall total of 300 completed surveys. HOW …? Researchers need “proof” … by way of robust data … that a breed has a health issue before they will consider a research project … and that robust data needs to come from a reasonable number of Glens both affected by (“cases”) and unaffected by (“controls”) for a particular condition. We may be able to request the help of scientists to look at specific health problems highlighted within the breed … and this, in turn, will help future generations of Glens … IF enough owners help by participating in this survey! Please fill in the survey if your Glen is fit and healthy! Please fill in the survey if your Glen has a health problem/s. We hear about Glens with SKIN problems and ALLERGIES … and about Glens with a problem called PREMATURE CLOSURE OF THE DISTAL ULNA (PCDU), which may also be referred to as ANGULAR LIMB DEFORMITY (ALD). If your Glen has ever had skin issues or allergies … or if s/he has ever had serious limping issues (with or without an official diagnosis) … please complete the survey! If you’re happy for you and your Glen/s to be involved in research that may arise from this survey, please don’t forget to include your name and email address in the “Permissions” section at the end of the survey. Thank you. January 1st 2015 will see the official launch of the Kennel Club ‘Vulnerable British & Irish Breeds Competition‘. This exciting new competition sponsored by Eukanuba and supported by the competition’s Media Partner ‘Our Dogs’, is the first of its kind established by the Kennel Club. The competition will help raise awareness of our rare native breeds and recognise those dedicated to ensuring their continued survival, any Glen of Imaal Terrier owner (or anybody with what the KC considers a “Vulnerable Breed” can read about it on the KC website. Some eagle eyed people noticed that the judge for the 2015 EFG Open Show was included in the Judges List last week. In answer to their question of will the Schedules be out soon then-we’d like to give a very big affirmative. The Christmas newsletter will be posted out the first week of December and they will be in there. Also Jean will be carrying them around her person (somewhere) so if you see her and would like one……. For this year’s National Canine Health Testing Week (17 – 21 November), dog owners are being encouraged to show off their healthy and happy dogs by taking a ‘healthy selfie’ of their pet and uploading it to social media with the hashtags #doghealthyselfie and #NCHTW. The campaign aims to help spread the word about the importance of using recommended health testing before breeding, and buying puppies from appropriately health tested parents. 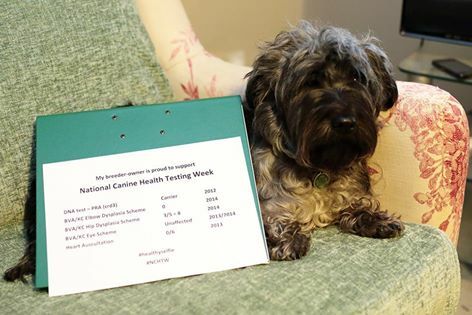 The Kennel Club is calling for those who support canine health testing to take a photo of their dogs with a piece of paper or card in front of them with a statement written on demonstrating their support for canine health testing, such as ‘I support National Canine Health Testing Week’, ‘I’ve been hip scored’ or ‘Health tested and proud’. These photos should then be uploaded to social media, using the hashtags #doghealthyselfie and #NCHTW to show the world that dog owners care about the importance of health testing. 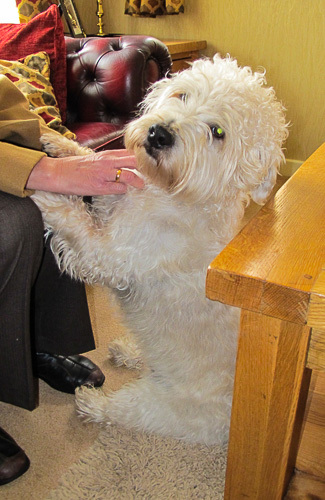 Have you-and your Glen of Imaal Terrier-supported? A Glen of Imaal Terrier supporter!